Jambeaux, everyone!!! Welcome to another episode of the Magic Our Way podcast: Banned Behavior on Disney Property, part 2. We are a New Orleans based Disney fan podcast. We appreciate your listening to our show and we hope it brings a smile to your face. We also appreciate your feedback and are committed to listening to our audience. There is no Queue on this show. It will return on a future show. In the Hub, Danny leads the team on a discussion regarding banned behavior on Disney property. 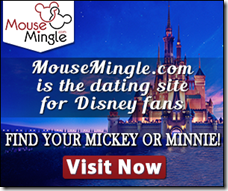 You can think of this as a public service announcement or something to appease your curiosity as to what it would take for you to not be allowed on Disney property. We, of course, would not want that for anyone. We explore stories and share thoughts and opinions regarding instances surrounding various banned individuals. 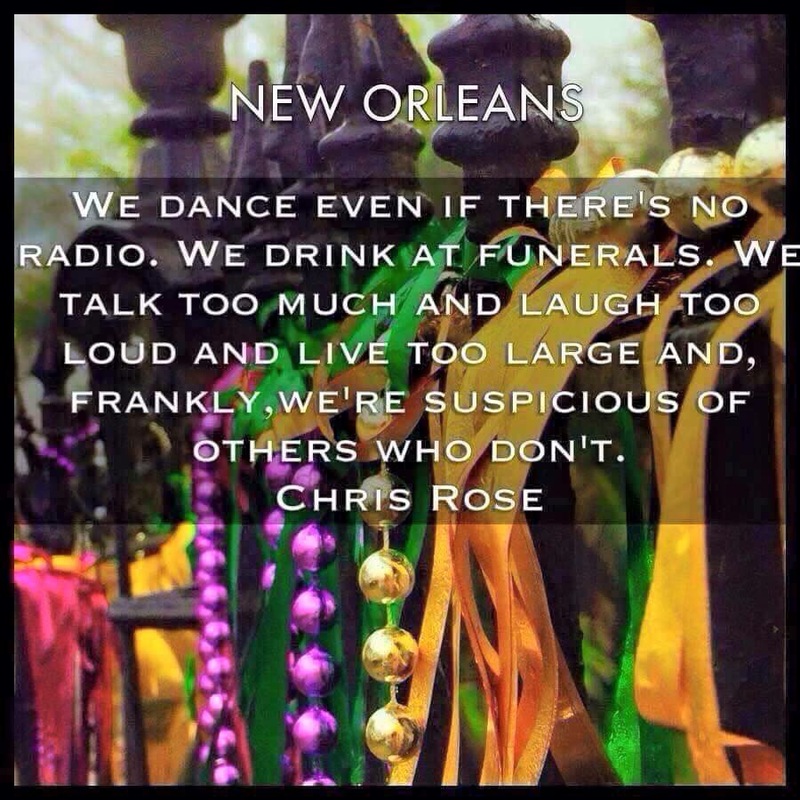 Mardi Gras in New Orleans is more than what the national media chooses to cover. It is more than just drunken debauchery and lascivious behavior. Mardi Gras in the New Orleans is about family. It is tradition. It is about people from different walks of life standing side by side and enjoying the biggest free party on Earth. We are passing a good time before we enter the Lenten season. Enjoy the coverage above from New Orleans’ own WWL-TV. They paint a picture of this event not typically seen on national media. They show the colorful costumes that people work tirelessly on year round for this day. They show the special throws unique to each Krewe from medallion beads to doubloons. A Krewe is similar to the Brazilian Samba School. Click HERE to learn a little more about Brazilian Samba Schools. Click HERE to learn more about Mardi Gras Krewes. When the Saints won the super bowl in 2009, each Krewe donated a float for our Superbowl celebration parade. No cars were overthrown. No businesses were set ablaze. We enjoy life. 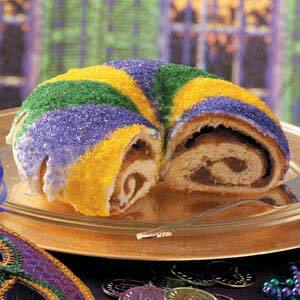 One version of the Mardi Gras King Cake. If you would like to hear how your Magic Our Way hosts celebrate Mardi Gras, check out MOW #105a in which we address Listener X’s query about that very topic. However, we have to address that answer by pulling from three different levels of our lives: 20 year old, 30 year old, and 40 year old. It is a fun an interesting discussion. We eat king cakes and hope that we get the baby. The baby is baby Jesus in case you were wondering. If you get the babay, usually you have to provide the next king cake and the process starts over. And the colors of purple, green, and gold? This represents the three gifts the three kings bestowed upon baby Jesus upon their arrival to the manger. This is why the season traditionally start on Twelfth Night. More info HERE. We love our city and apparently Mr. Walt Disney and Mrs. Lillian Disney love our city as well. There is no New York Square in Disneyland. There is no Chicago or Los Angeles Square either. There most definitely is a New Orleans Square in Disneyland. One of our podcast missions is to explore this and learn more about Walt’s love for New Orleans and we will present it to you one day. 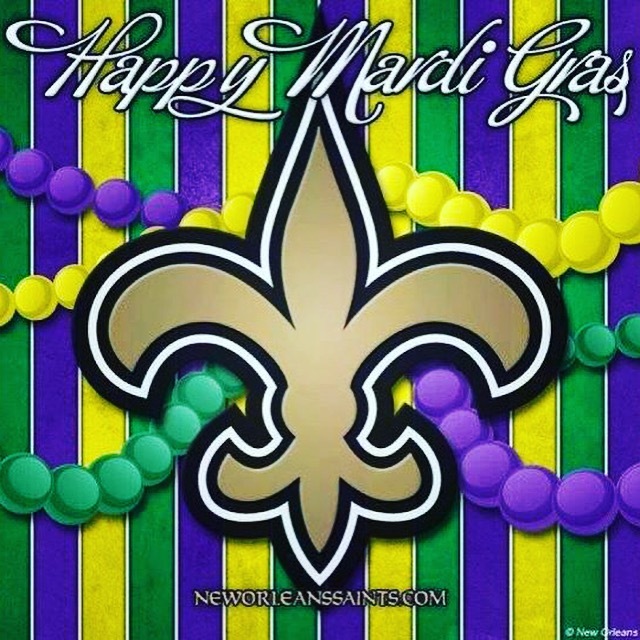 The Magic Our Way crew wants to wish everyone a very Happy Mardi Gras and we hope that one day you will come to our town and celebrate with us. Guest Services: How Do We Celebrate Mardi Gras?